We often measure success in what we accomplish. Getting an A on a test, hitting a home run, or mastering a new skill. Most of us want to forget about our failures, right? What if we changed what the word failure means? The exact definition of failure is “the lack of success.” At Wisconsin Swim Academy, we want to change that. You know the old saying, “if at first you don’t succeed, try, try again.” That is exactly how we approach each lesson. Your child my not figure out each skill right away, and that’s OK. With continued patience and perseverance, your child will succeed. Winston Churchill once said, “Success is not final, failure is not fatal: it is the courage to continue that counts.” This leads us to an awesome story about an exceptional young man named Gerald, who decided to not be afraid of failure. Instead, he choose to face the fear of not being good at something and use that to define what success means to him. You can watch that video here https://www.youtube.com/watch?v=R0tjVEncJyg. “If I couldn’t handle not being good at something, how could I consider myself a successful person?” Those are powerful words! When your child tries something new, do they give up if they don’t get it right the first time? As parents, we can teach our kids how to handle failure from a young age. Thomas Edison, when trying to invent the light bulb, failed 10,000 times! It was attempt 10,001 that he finally succeeded. At Wisconsin Swim Academy, we measure success by showing up, working hard and having fun! We don’t have levels or pass/fail classes because we feel each child’s individual strengths and needs are important. 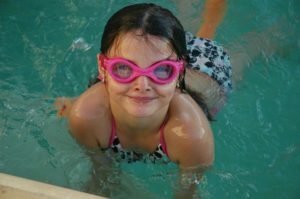 One child’s success might be wearing goggles for the first time, while another’s success might be treading water for 30 seconds. What is important is to keep at it and to keep trying. 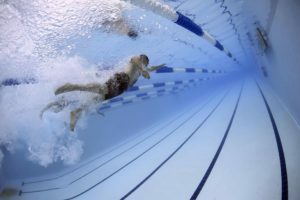 Repetition is the key to success when it comes to swimming. It takes time, patience, understanding and trust. And most importantly, learning to swim and learning how to be safe around water by taking swim lessons saves lives. Need a reminder about water safety? You can read about it here. 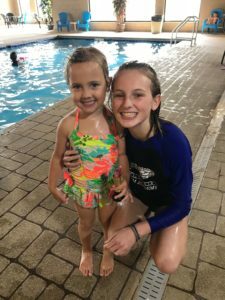 If you’re interested in registering your child for lessons or want to learn more about Wisconsin Swim Academy, please give us a call at 920-427-8286 or send us an email at swim@wiswimacademy.com and we will be happy to help! We often don’t think that our older children or teens need swimming lessons, but did you know that when your child starts high school as a freshman, they will have to take swimming as part of their gym requirement? Perhaps your preteen or teen has never had formal swimming lessons. Maybe it’s been years since their last lesson. Is high school gym class where you want to find out that your child can’t swim. Is that where you want to find out they don’t feel comfortable or safe in the water? Often as kids reach a certain age, they think they are too old for swimming lessons. However, the facts are too important to ignore. 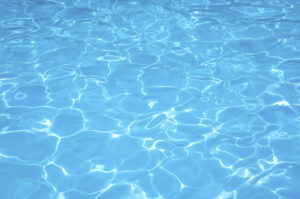 Drowning is the second leading cause of unintentional injury-related death among children ages 14 and under. As kids get older, they tend to take more risks in and around water and might not want to tell someone they can’t swim. In 2009, the American Academy of Pediatrics found that children enrolled in formal swimming lessons had an 88% reduced risk of drowning. It’s great for injury prevention and rehabilitation. Swimming is low impact and therefore offers an injured athlete the ability to continue to train while minimizing pain and it enables a healthy athlete a high intensity workout that is low impact. This will prevent injuries to muscles and joints. Swimming is great for cardiovascular fitness. Many high school athletes who are not accustomed to swimming will gain strength and an increased lung capacity. Swimming can help your child become a better athlete but will your child feel comfortable in the water? When was the last time they had a swimming lesson? If your older child or teen is not a strong swimmer, sign them up for swim lessons. Knowing how to float, tread water and swim to safety are critical survival skills. We understand your growing kids might be embarrassed at the thought of having to take lessons with kids who are younger than they are. At Wisconsin Swim Academy we tailor our classes to fit your child’s individual needs. We can make sure your older child or teen is paired with someone who is the same age and similar skill level (we even offer private lessons!). Most importantly, we will make sure they have the skills necessary to be safe and comfortable while in the pool. 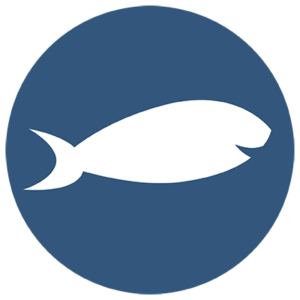 Want to learn more about how Wisconsin Swim Academy can help? Give us a call at (920) 427-8286 or email us at swim@wiswimacademy.com today!